Portrait of John III Sobieski in Roman costume. Mars and Venus as lovers. 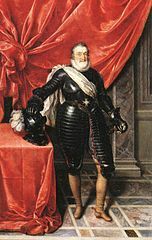 Portrait of Ferdinand III Habsburg.